Big Red Removals & Storage provide liability insurance cover. 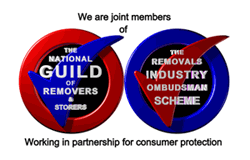 We are members of the National Guild of Removers. Each vehicle comes equipped with transit blankets, sofa covers, ties, a skate and a full tool kit. All of our vehicles are satellite tracked, so we know where they are at all times.Our Man and Van service is designed for smaller London removals, single items, or 1 bedroom and 2 bedroom properties. 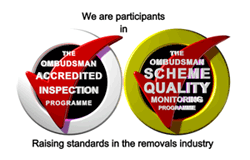 Our experienced uniformed crews will work until the job is completed. All our crews are from the staff of Big Red Removals and Storage. Our Man and Van service is designed for smaller London removals, single items, or 1 bedroom and 2 bedroom properties. Our experienced uniformed crews will work until the job is completed. All our crews are from the permanent staff of Big Red Removals and Storage. Prior to your move we are able to supply any packing materials you may require, please see below for specifications and prices. If you self pack we will be able to provide telephone or email advice as to how many boxes you will need for your move. Please call us if you have any questions regarding booking conditions. We have a detailed terms and conditions document that will be sent as part of any booking. If you would like a free no obligation removal quote please call us on 0207 228 7651 or email us at sales@bigredremovals.com.